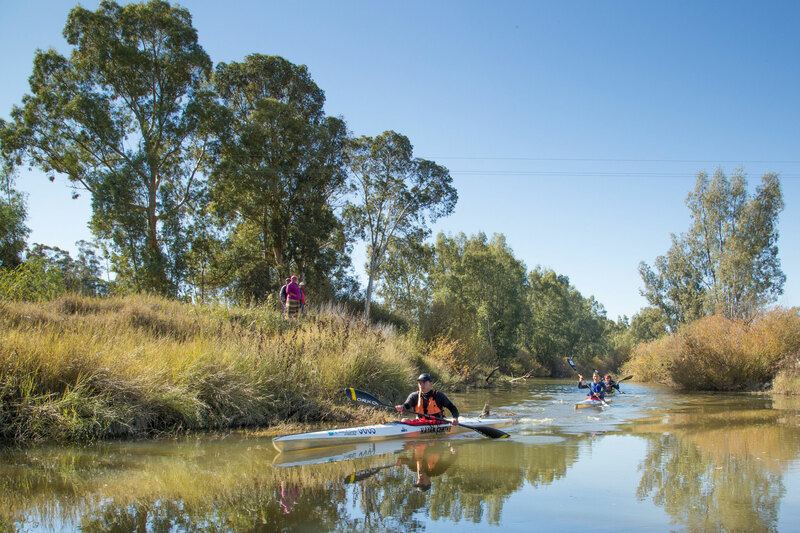 Paarl - Entries for the boldly revamped Berg River Canoe Marathon opened this week, with the organisers offering two tiers of entries for the new team format that will govern the competitive element of the famous four day race from Paarl to the West Coast fishing town of Velddrif from 11 to 14 July. The title will now be decided in a team format of two paddlers per team, using a formula now well established in mountain biking, adding whole new dynamic to the racing tactics for the event. “The top paddlers will probably have a different technical approach and it will be very interesting to see how they manage this new dynamic,” said race committee head André Collins. “The rest of the field will enjoy the camaraderie of a partner who will work together through the difficult challenging sections of the river but especially supporting one another on the long flat pools on the last two days,” he added. The new race entry reveals a two tier option for elite paddlers entering the new team competition. In addition to the option of entering two athletes, there is the option of entering a commercially branded and owned team, offering sponsors an opportunity to own commercial rights at the race, with guaranteed branding and commercial rights delivered by the event. Collins said the race would continue to offer solo paddlers the opportunity to take on the 240km in an individual K1, as was the race tradition since its inception in 1962. “With the option still open to do the race solo, we are comfortable that the race caters for the personal preferences of all,” said Collins, adding that the race was evolving the remain relevant and contemporary without shedding its roots and traditions. There is also an option for less experienced paddlers to enter the race in a three paddler relay team, putting the legendary Berg challenge within reach of paddlers who might not have done the base training miles to take on the full 240km challenge. A full preview service will be provided with immediate effect, together with a comprehensive Event Media Service during the race that will provide flash results, copy with full results, high-resolution digital images and radio soundbites and voicers on a daily basis. Please feel free to contact us at info@gameplanmedia.co.za if you have any specific media needs or questions regarding your coverage of this event.